Summit, summit, summit, that's all I heard when it came down to Mount Kinabalu. But there is so much more to this area than just the peak of a mountain. 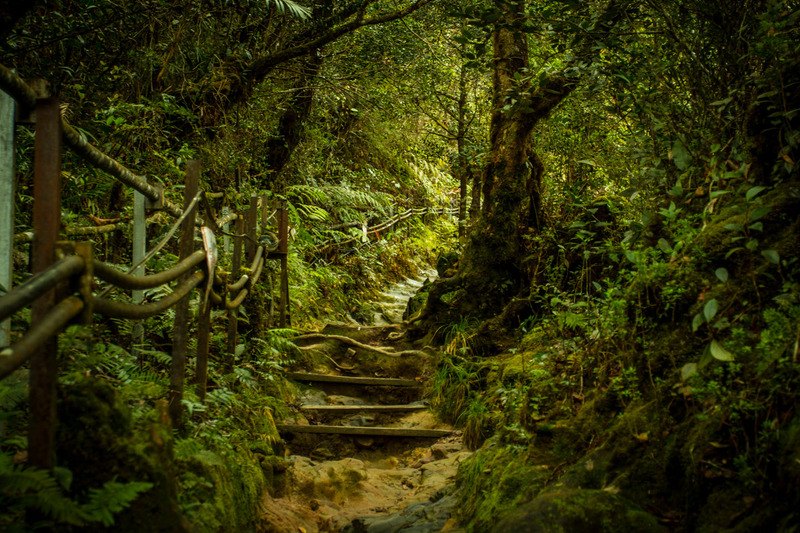 The Kinabalu Park is a UNESCO World Heritage Site and offers a beautiful forest, lovely tracks and a rich collection of wildlife. 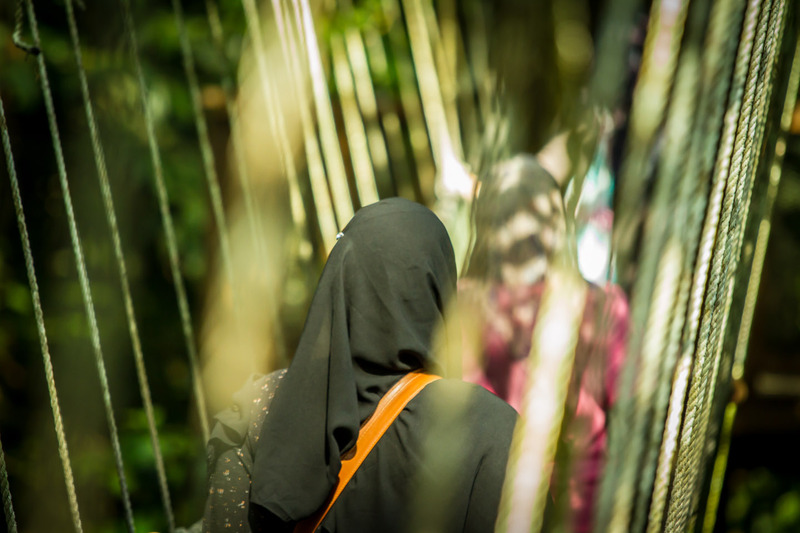 On the backside of the mountain you can find a canopy walk, hot springs, a butterfly farm and a lot more that will make you forget Malaysia's highest mountain peak within the blink of an eye. Getting there is easy. 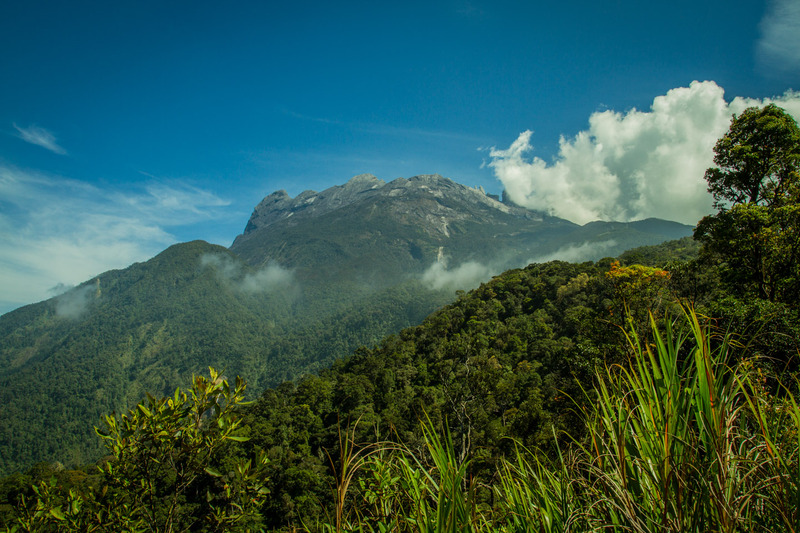 The entrance to the Kinabalu Park is located on the main road connecting west and east Sabah. There's a large number of public transport companies and by law they are all forced to have the same price. Hitchhiking is also a good way to get around. I was dropped off at the main car park. All hotels inside the park are quite expensive. Heading down the road towards Kota Kinabalu, turning right at the first dirt road and walking up the hill you will reach the Kinabalu Mountain Lodge. It's about half an hour walk and a nice and cheap alternative. The view from the lodge is amazing. 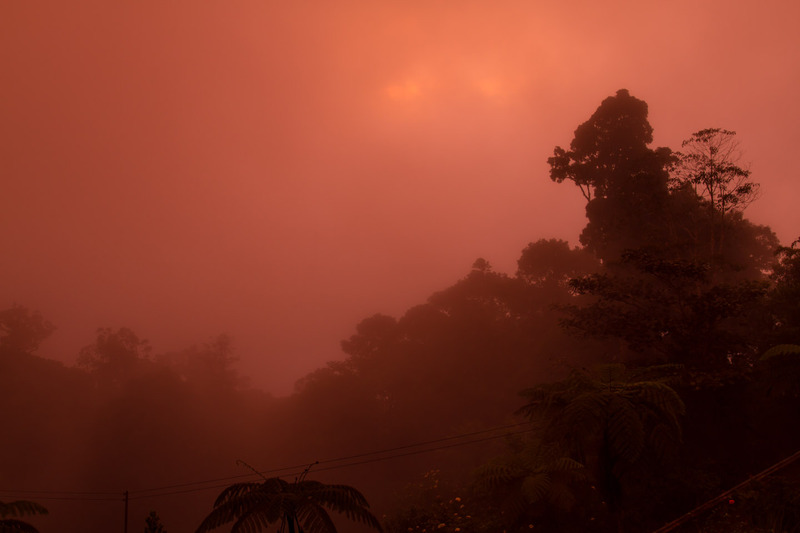 Shortly after I arrived the sun went down and in the fog it looked like the whole forest was on fire. I was offered dinner by a Chinese family. I firstly thought they were running the Mountain Lodge, but it turned out that they were only guest like me. There are several sleeping rooms and a dorm, all more or less wrapped around a spacious living room with a big kitchen that can be used by everyone. 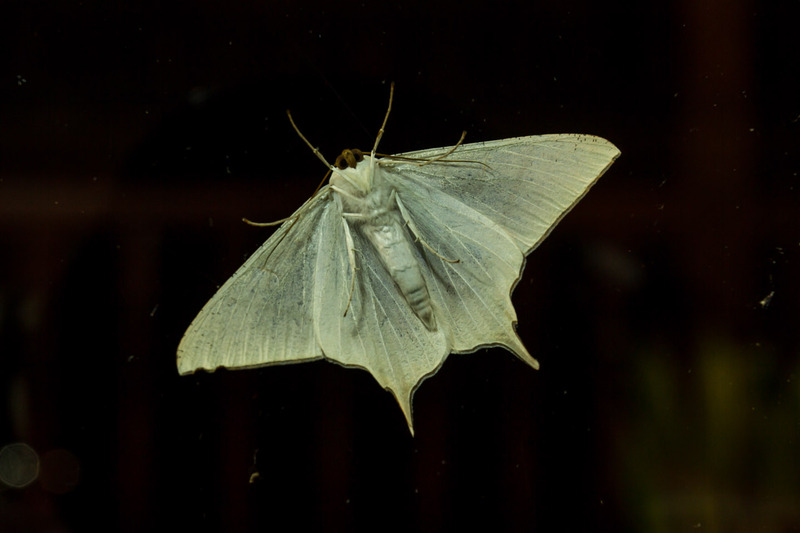 Once it gets dark the light at the huge balcony attracts all kinds of insects. 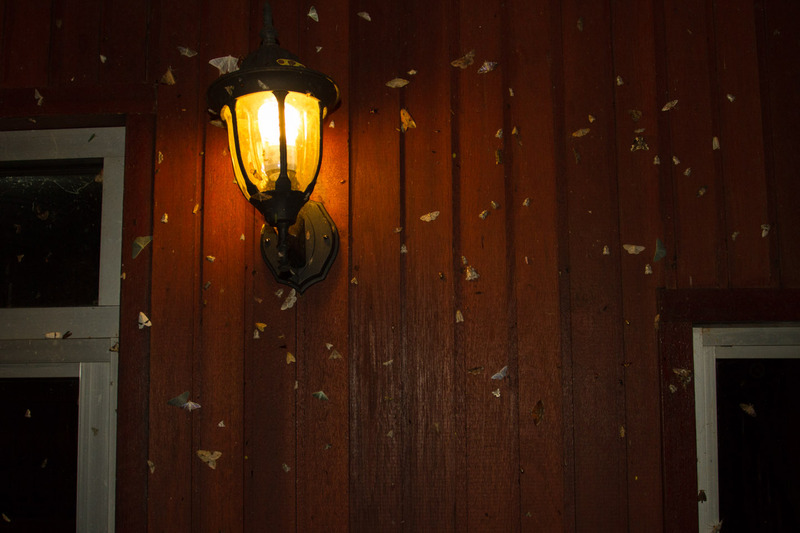 Make sure you keep the doors shut, otherwise the place gets invaded by millions of moths. It's fun to watch and I spent hours just sitting inside and outside following the spectacle. Believe me, when I say millions I mean millions. 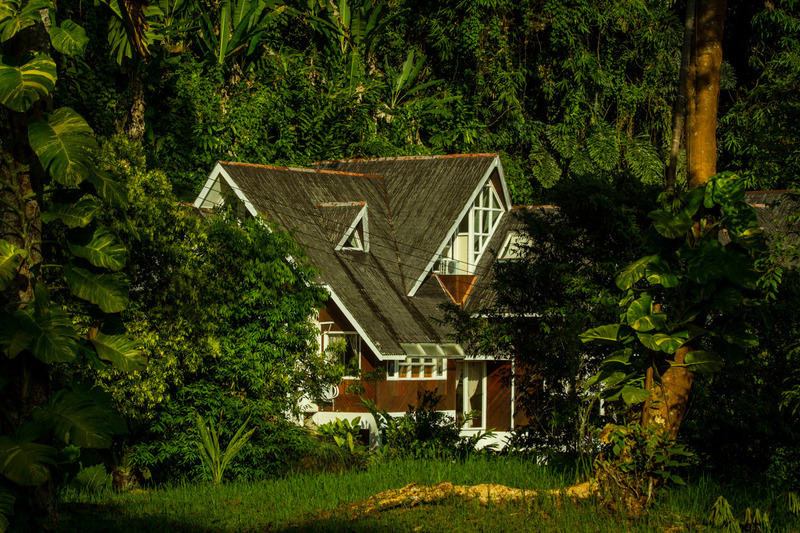 The Mountain Lodge is in the middle of nowhere build right into the jungle. No wonder the only light source for miles will draw some attention. 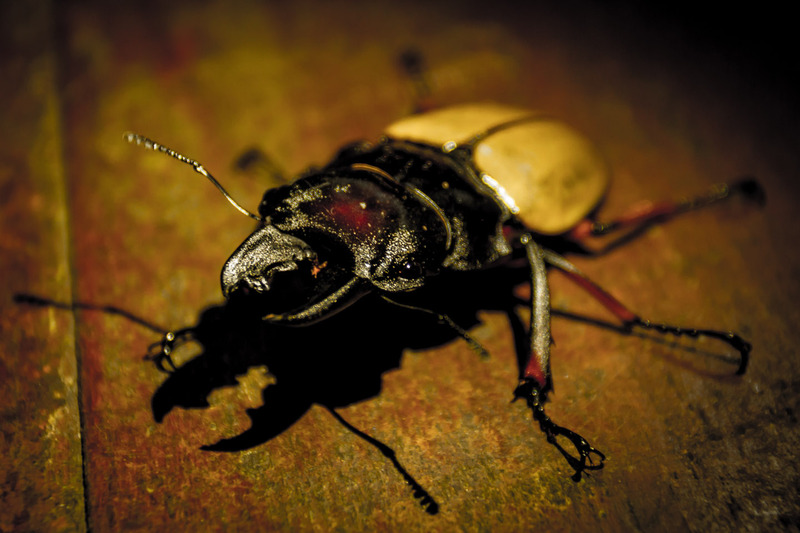 Afterwards I read some reviews on the internet that were complaining about this issue, but I managed to keep all insects out of my sleeping room and never had any problems. I loved the nights on the terrace. 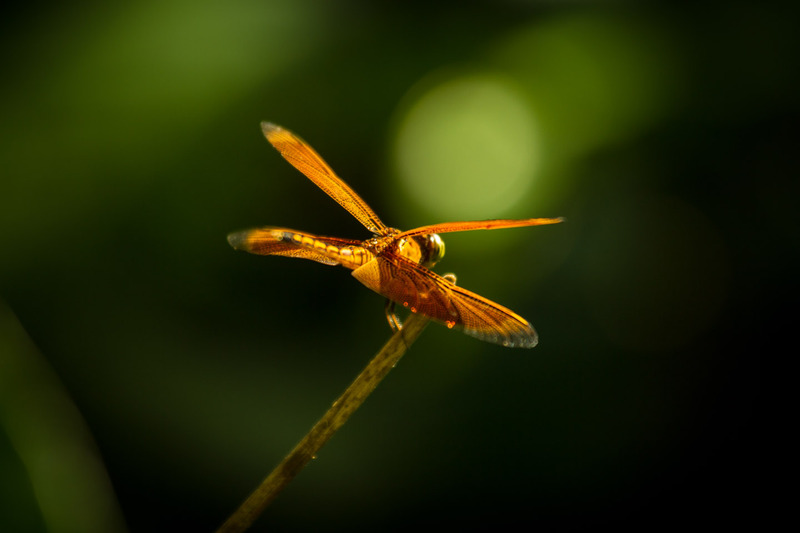 To me it was a great place to observe some amazing insects. 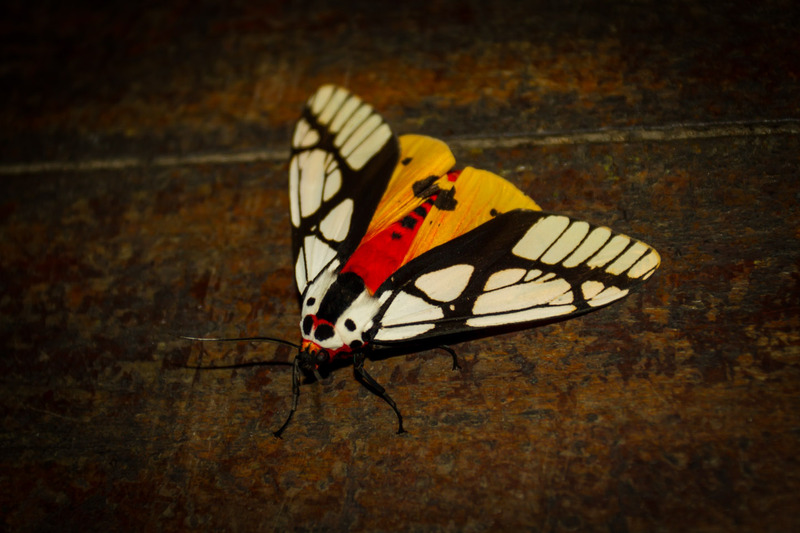 I saw dozens of moths, bugs and beetles I didn't even know they existed. 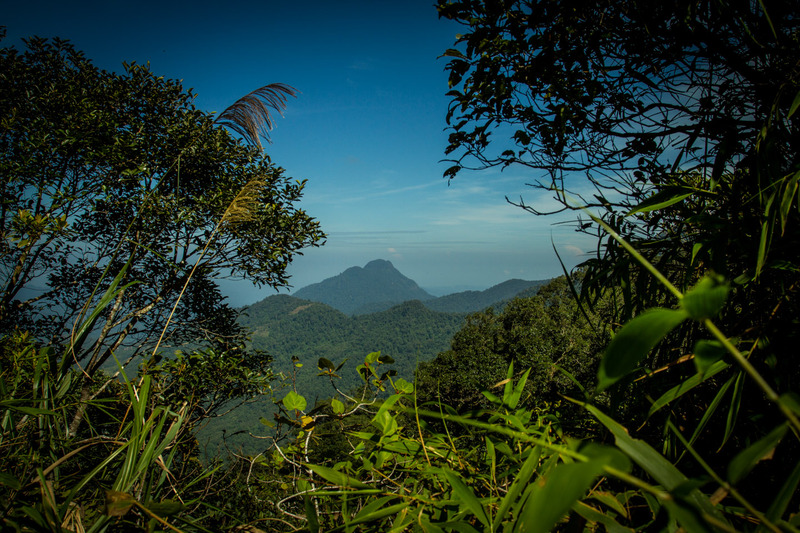 This is something you will definitely miss out on when you are only spending a night at higher altitudes on your way towards the peak of Mount Kinabalu. 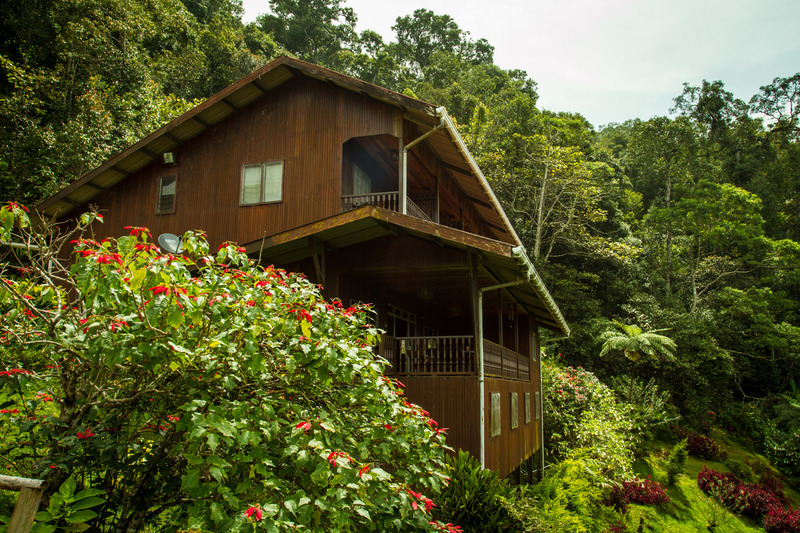 The Mountain Lodge is located right below the UNESCO World Heritage Park and there's a shortcut through the jungle that will take you to one of the lower tracks. This way you don't have to walk back to the entrance of the park to get in. It's not an official track since it takes you around the entrance and the obligatory park fee. People will tend to not tell you about it unless you ask them. All tracks around the park are well marked and there's a great amount of plants and animals to discover. I saw a lot of birds and met more than one ornithologist in camouflage, equipped with high power zoom lenses. 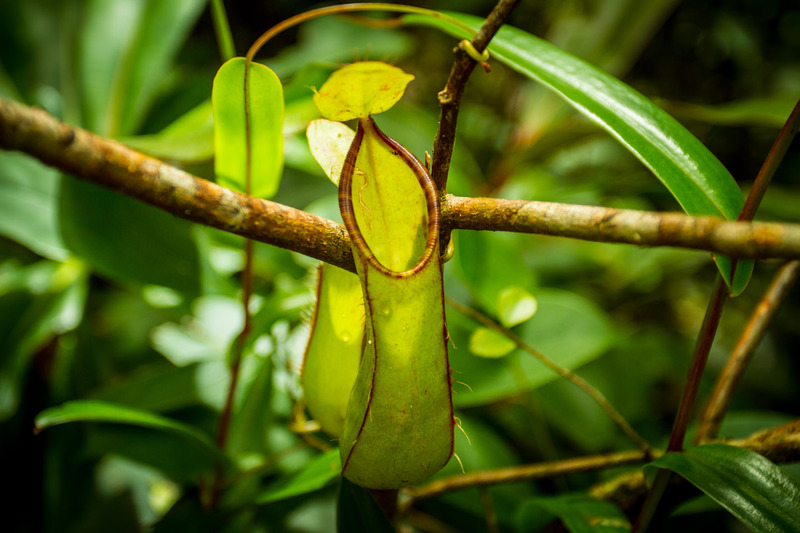 I was looking for Pitcher Plants since I never saw one before and found a few nice exemplars. At some points you can actually see the peak of Mount Kinabalu. I walked half way up, as far as you can get without an expensive permit. Going up the whole way is a big tourist attraction and at that point to me and my small budget not worth the money. The track to the top is steep and has a lot of natural stairs. Most people come here to climb the peak. A normal tour will take two days. 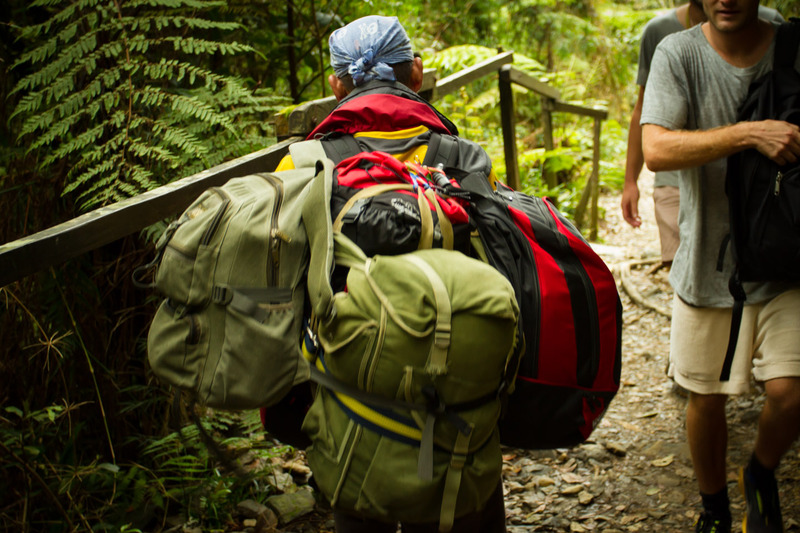 You will spend one night close to the summit and actually climb the top early morning on the second day, shortly before you have to walk all the way back. 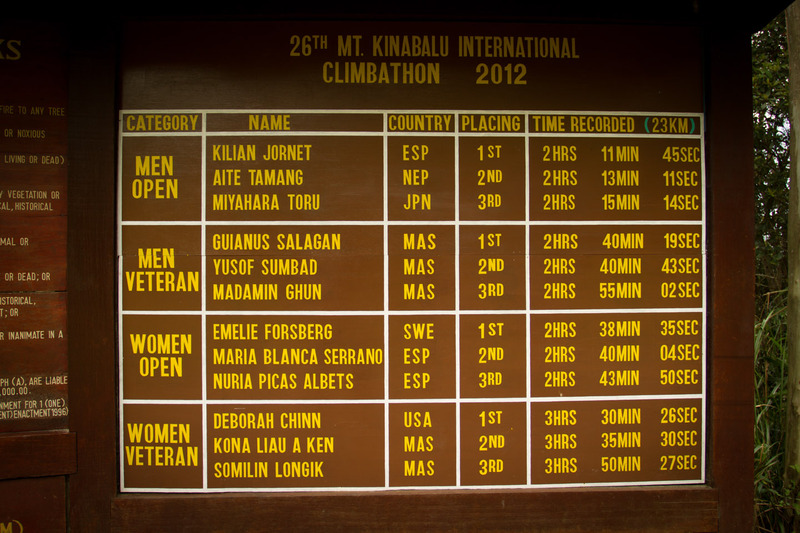 Once a year there is an event called the Mount Kinabalu International Climbathon, where people from all over the world race up to the top. They cover the distance to the top in 2 to 3 hours, which is pretty fast taking into account, that it is a two day trip for a normal person. There are two kinds of people trying to get to the top. Those that are prepared and those that are not. I think the second ones will make up the larger number. First day is tough, but the second day is even harder. Walking to the top and back you will cover more than twice the distance you made the first day. No wonder there are many locals offering to carry multiple backpacks. To them it's a good business and once your knees are going to hurt form the many steps some people will be more than happy to drop of as much load as possible. After three days of hiking around, it was time to say goodbye to the Mountain Lodge and head on. Everything I own was full of mud and sweat so I took the chance and made a quick laundry in the shower. That day I actually forgot my rain jacket at the lodge but to be honest, I never really needed it. Hope someone found it and is happy. Talking to people I heard about the Poring Hot Springs. It's more a local attraction and not very high rated among international tourist. The little town of Poring it located on the other side of the mountain and sounded like a good follow up destination to me. Not knowing if there is any public transport I drew up another sign and started to walk. I think I changed cars 3 times before I finally reached Poring Hot Spring Resort. It's a fancy place and the nearby hostels were either shabby or expensive. I heard there was a campsite at the resort and which was a great deal. I think it is not used very often, the stuff member showing me around had difficulties finding it. It was more or less a plain greenfield with no other facilities and it looked liked I was the first person to camp here. But fees were low and entrance to the Hot Springs is included. Beside that you are allowed to enter the bath all day and night and I made plenty use of that. I had a great night. After a moonlight bath in the Hot Springs I cooked dinner and went to bed. The campsite is close to the forest and I just love lying in the tent and having all those noise around me. 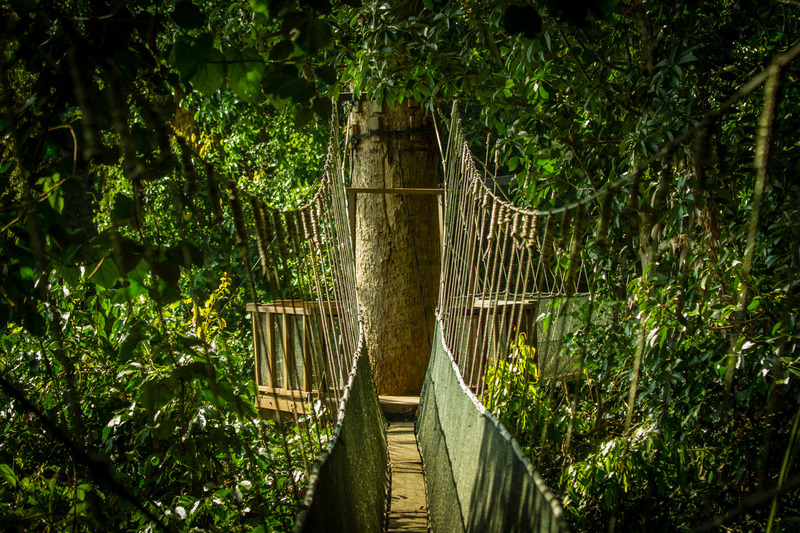 Next day I got up early, made some tea and headed for the canopy walk. To my surprise I was on my own for first two hours. I had plenty of time to walk forth and back. I saw many birds, a few monkeys and a giant squirrel. 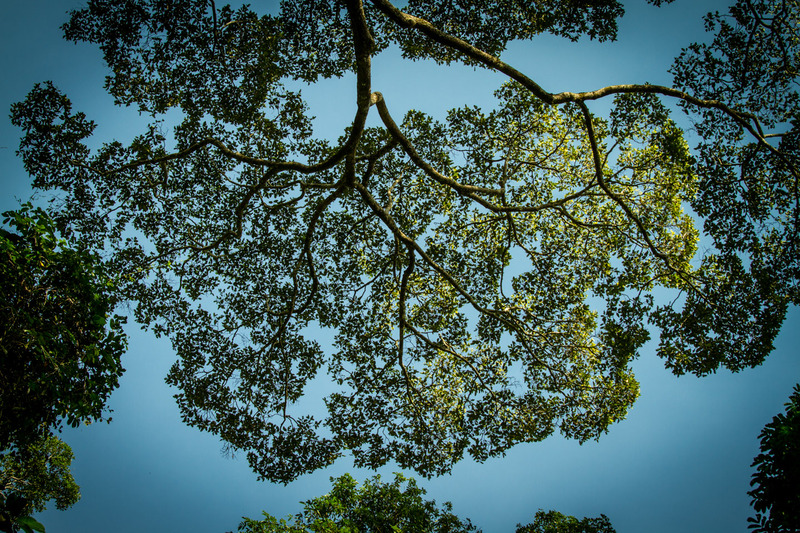 There are some great trees and it's beautiful to witness the sun rise and shine through the leafs. 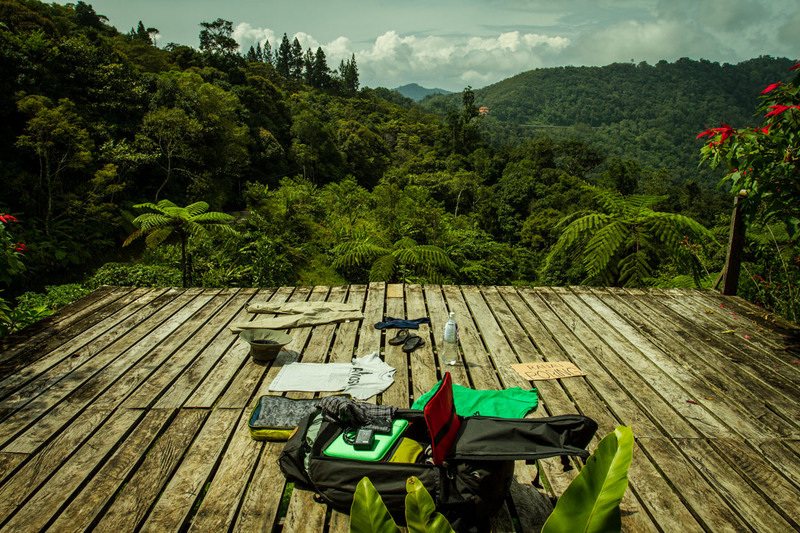 Being all alone on the canopy walk I could keep quite and there was nothing to scare wildlife. I had time to watch everything and really enjoy the scenery. The canopy walk is pretty high but looked safe and well maintained. I am a little afraid of heights, but this walk was no problem to me. After two hours the crowds arrived, local tourist and children running around, screaming out loud. There was a group of young muslim girls that made a big fuss about walking from one platform to the other, constantly shouting and taking pictures with their mobile phones. I was glad I had those hours before and made my way back to the Hot Springs to take one more bath before heading to the Sabah Tea Plantation. 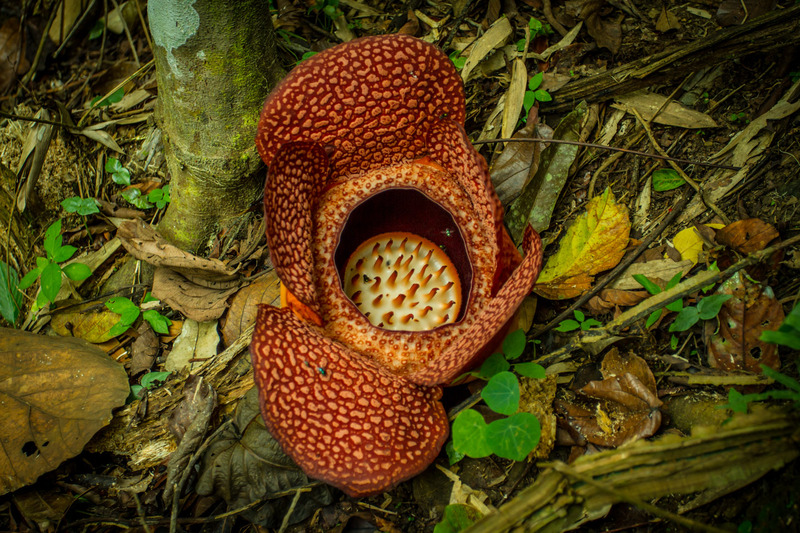 Leaving the Hot Springs I hitchhike again and stopped at a field to see a Rafflesia flowering. The people that had offered me a ride had never seen one before themselves and joined in. What a nice coincident. I not only could share some more time, but was able to continue my ride with them. Like I always say, in the end everything works out fine, you just have to keep on moving.